There is a titanic struggle going on between parts of the financial industry and the authorities. That much seems clear from talking to Andy Haldane, the Bank of England's executive director for financial stability. 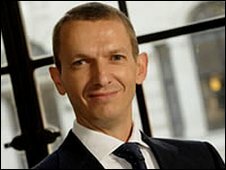 Mr Haldane, who is one of the Bank's leading thinkers on financial regulations, says the financial system has evolved to produce "some very big beasts indeed", adding that they are "firms that have become too big or too important to fail". And that's a problem for the financial authorities because if a company is too big to fail because it might bring the whole system down with it, then it will know that the taxpayer will always be there to prop it up when things go wrong. Some people argue that this means that the biggest banks should simply be broken up, and that "too big to fail" means they need to be smaller. Mr Haldane rejects that saying instead that new regulations can be put in place instead. First, to ensure that banks keep more of a safety cushion, and, so they can be re-organised so that there are partitions inside them so that if the riskier bit fails, it doesn't take the utility bit of the bank - which takes loans from and lends to the public - with it. There is not so much as a scintilla of evidence of bigger being better in banking is the truth of it. But tougher regulation is needed, he feels. "Part of the solution is to redirect our regulatory tools." "One of the lessons we've learnt is that those institutions that spread the risk disease furthest and in the biggest way ought to be subject to more stringent, and harder-hitting regulation up front," he says. Mr Haldane has a faith in the power of reasoning. "It's true that the lobbying effort of the financial sector should not be under-estimated. Equally, the way to beat that back is by appealing to logic and to evidence. 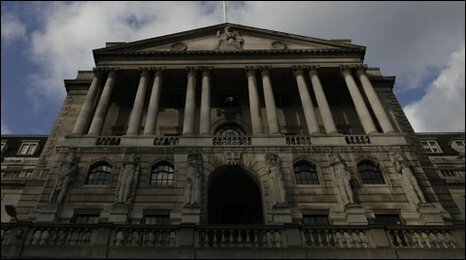 He disputes the arguments many banks make that they need to be big to compete globally and be innovative to the benefit of the public. "There is not so much as a scintilla of evidence of bigger being better in banking is the truth of it. A lot of the noise around that really is rhetoric," he says. "So in most industries we do think that bigger and wider delivers a better product for the end user. I think in banking the evidence on that is close to non-existent." "And we do know at the same time that bigger certainly isn't better when the going gets tough. Bigger during this crisis has meant bigger bail-outs not better bail-outs." Mr Haldane says that there is a mountain of consultation now between the authorities in different countries to try to get new regulation. But if there's no international agreement, he feels, Britain shouldn't pull back from acting on its own, and if part of the financial industry then departs, so be it. "Some of the downsides of carrying around a big financial system are now evident to all." "If some of that were to migrate overseas that would be unfortunate but given the costs of carrying that financial system around, it may be a price worth paying." Mr Haldane fears what he calls a "Doom Loop" where banks take riskier and riskier decisions, knowing that the tax-payer will always be there if things go wrong. "It's a loop we've been round repeatedly over the last 200 years which is that every time we have one of these events, the public sector has ridden to the rescue, it has written the cheque". "And that has rather fortified the financial sector to double their bets for next time which means that when next time comes the cheque needs to be that much bigger". The question is whether Mr Haldane's faith in logic and evidence is misplaced. He acknowledges, though, that "it will be a battle and it will be a long-run battle".